Without purpose or meaning in our lives, many of us feel lost, unfulfilled and disconnected from the world. Without a sense of purpose, getting out of bed in the morning can quickly become a devastating task. Which begs the question, when we cannot find purpose in life, how do we find it? Ask yourself: If happiness were a currency, what would I be doing? Generally, people have a pretty clear idea of their answer to this question. However, most quickly come up with 15-20 different reasons why it can’t be done. Whether it is money problems, circumstances, doubt, anxiety or a lack of confidence, most people use the power of excuses to protect themselves from their real fear of failing. I implore you to answer the question honestly and then commit to that answer. Don’t make a list of pros and cons. Don’t think about the hurdles you will have to climb, the obstacles in your way or the possibility of failing. Instead, fight your hesitation with action. Once you come up with an answer, take action in the direction of your choice. It can be a small action or a tall action. It can be a small step or a giant leap. Whatever you choose, make sure it is a step forward. If you cannot choose a specific direction, then take action towards something you are good at. In my quest to find purpose, I had no idea what I wanted to do. I was completely lost. The only thing I was confident about was my knowledge of the game of baseball. I worked 12 hours a day for 4 months reading about baseball, studying baseball, creating a resume and applying for jobs in the baseball industry. I wrote a baseball blog, created a baseball website and contributed my writing to many baseball publications. I devoted my entire being to the pursuit of a baseball career in an effort to provide hope, inspiration and entertainment to my community. After a year and a half working in the game, I realized that providing sports entertainment wasn’t my purpose. My heart was clearly telling me to go in a different direction. Upon this realization I thought that my pursuit of baseball was a failure. At first I thought that I had wasted over a year of my young life. However, I quickly learned it was a sign pointing me in the right direction. During my pursuit of the game, my baseball writing was getting a lot of recognition and praise. Through experience I saw the power that creative and positive content on the community. As a result, I took more action. While working 40 hour weeks, I wrote a 160 page book, started a website focused on positive thinking and began consistently writing for Thrive Global. The more I wrote, the more I felt connected with purpose. The more I wrote the more I felt my inner being shine through in my life. Recently, a start-up saw my writing online and hired me as their Creative Content Director. Now I have the ability to write for any publication I like while growing a business focused on collaborative and effective education for the young innovators of tomorrow. Two years ago, I never would have guessed that I would find purpose in writing. Two years ago I had never read a book outside of school. Two years ago the only thing I liked to do was go to bars and coach baseball. Through consistent effort and taking effective action, trial and error has pointed me in the right direction. Like finding the combination to a lock, I found my purpose by trying new things and listening for the click. There is a great chance that you have no idea what your true purpose is right now. However, through taking action and learning from every experience, there is a great chance that you will find it. Make your focus clear and take action. Then keep acting. Sooner or later, your purpose will reveal itself. 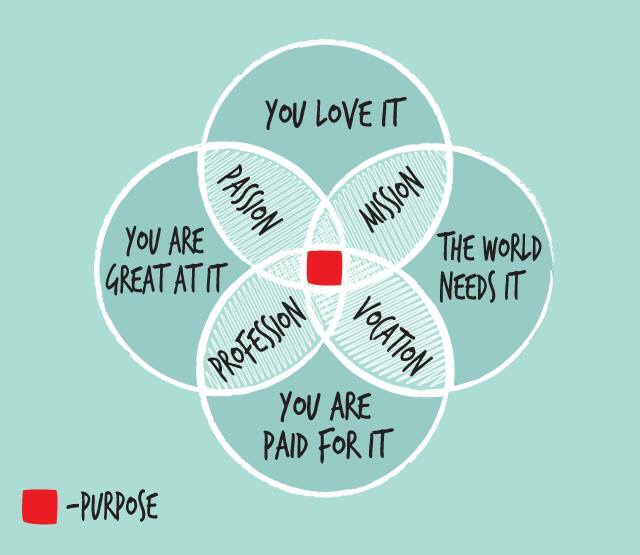 Finding your purpose is as easy as Lather, Rinse and Repeat. Figure out what you want to do or something that you are good at, take action and repeat. If one effort isn’t the perfect fit, try another. Keep acting and never give up. Your purpose is closer than you think.